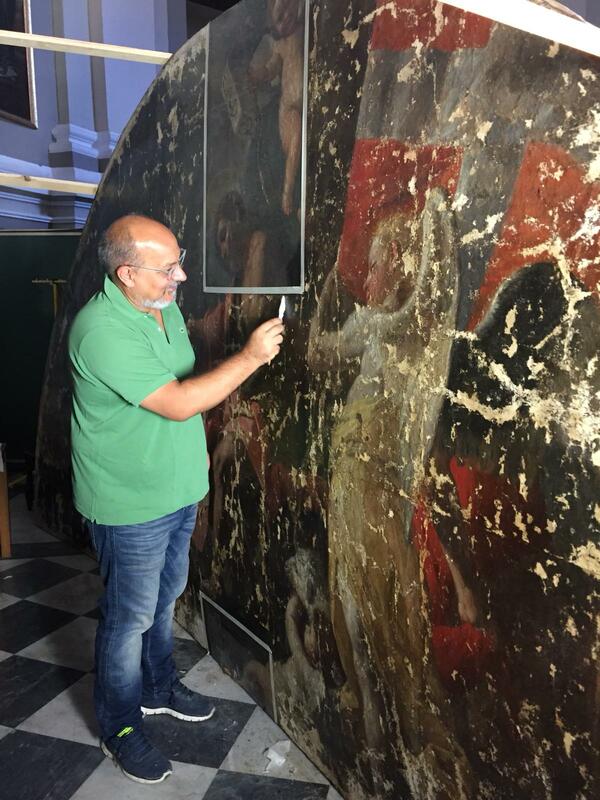 Sparkasse Bank Malta plc is generously supporting the restoration of another of Mattia Preti’s 7 works at Sarria Church, Floriana. Paul Mifsud, CEO, Sparkasse Bank, stated ‘Last year we were glad to support Din l-Art Helwa in the restoration of the St Nicholas. This year, as part of the continued effort in corporate social responsibility we are pleased to fund the restoration of the large lunette representing the victory of good over evil, or as it is better known ‘St. Michael and the Devil’.’ The work is being carried out by the team composed by Giuseppe Mantella and Sante Guido. 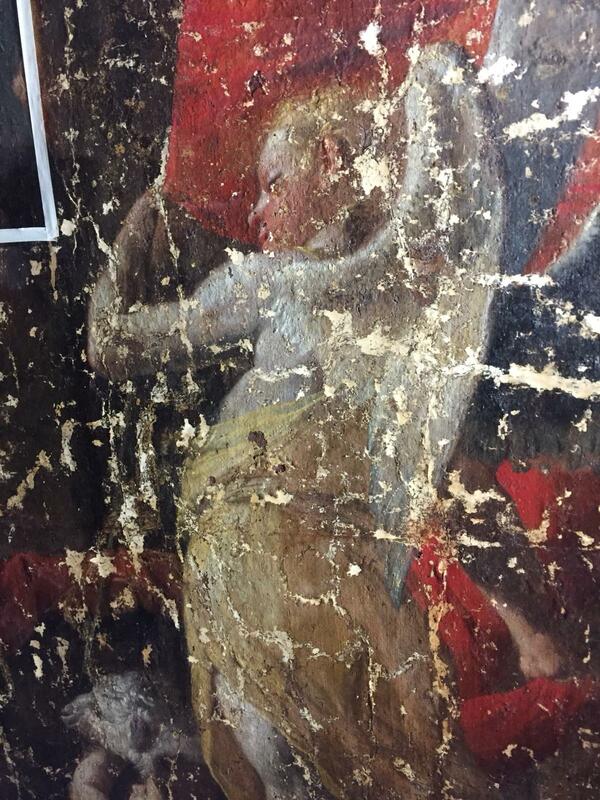 ‘This is a splendid painting by the Cavaliere calabrese’ says Giuseppe Mantella,’but it is very badly damaged mostly by water infiltration’. 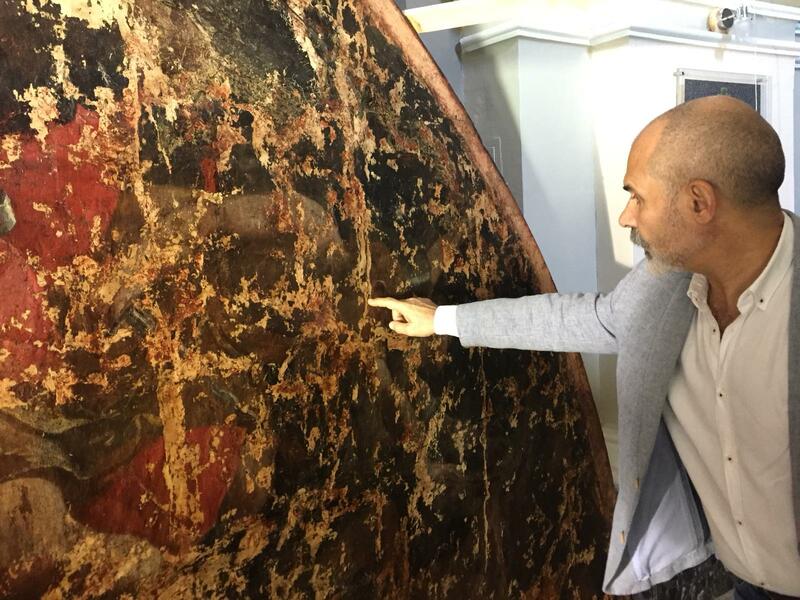 The restoration of the 7 paintings at Sarria will be completed by the end of 2018, Valletta’s year of culture and Din l-Art Helwa will celebrate the event with a concert early next year. Funds are needed for state-of-the-art lighting at Sarria Church. This entry was posted in Uncategorized by George. Bookmark the permalink.